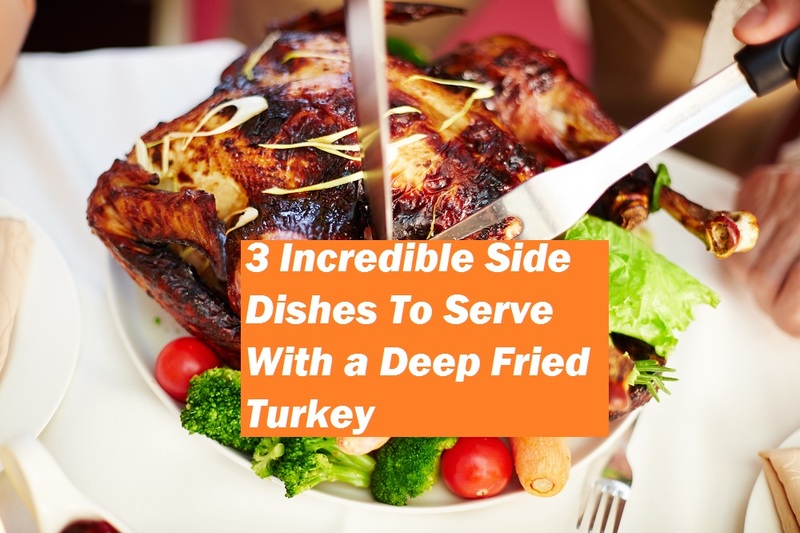 Home » Blog » What Are Some Good Side Dishes For a Deep Fried Turkey? What Are Some Good Side Dishes For a Deep Fried Turkey? Foodies are salivating about now. Why not treat your foodie-friends to a creative twist to their usual holiday fare? If you’re planning to jazz up your meals this year, maybe, think about a deep-fried turkey. And, if you decide to take this bold approach, an innovative alternative to the traditional holiday protein should be accompanied by some original side dishes as well. If you are planning to serve a deep-fried turkey for a little extra variety, here are some easy ideas for a twist on your favorite side dishes that will offer your guests something with a little extra zing and originality. Turkey without stuffing or dressing will leave your guests craving their favorite side dish. Here is an easy, creative recipe that will leave your food-connoisseur friends wanting more. A 375 degree oven will give you the best results. Use butter or a pan-spray on a large casserole dish or cake pan to keep stuffing from sticking. Cook all the vegetables, sage, salt, and pepper with butter in a large skillet on medium to low heat until vegetables are soft – usually about 30 minutes. Mush up the eggs a bit in a small bowl. In your biggest mixing bowl, mix the stuffing mix with water and let it sit long enough for the water to be soaked into the breadcrumbs. Then, add the vegetables, apples, cranberries, and eggs. Pour into your casserole dish and bake, no cover needed, for about an hour. You’ll want it nice and bubbly around the edges with just a bit of crispness on the top. Not only is it a great alternative to traditional stuffing, but, it has some extra veggies and fruit for an added health benefit. You can even try sauteing the vegetables longer to really infuse the fresh, buttery flavor into each of them. Here is a great twist on the traditional twice-baked potato. It incorporates sweet potatoes and baking potatoes with all of the other goodness that you are used to. 2 cups sour cream – use the real stuff, calories don’t count! Using a fork, pierce each potato about three times so they can vent. Place potatoes directly on the oven rack with pierced side facing up. Bake according to size, usually 45 to 60 minutes. Check to see if they’re done by gently squeezing wearing a baking mitt. They should give a little showing that they are soft. Cut the potatoes in half lengthwise when done and let them rest and cool for at least 30 minutes or until they are comfortable enough to handle. While the potatoes are baking, melt the butter. After the potatoes have cooled enough, scoop the meat out of the skin and into a large mixing bowl leaving just enough potato to hold the skin together. You want to leave the skin intact as it will be the shell that holds the potato filling. Place the empty skins side-by-side in a casserole dish. Add the melted butter, sour cream, cheddar, bacon pieces, brown sugar, salt, and pepper to the potato meat and mix coarsely with a potato masher. You want to incorporate all the ingredients but you still want small pieces of potato in the mix. Then, using a large spoon, scoop the potato mixture back into the shells forming a dome. You should have just enough to overfill all 16 shells. Bake, uncovered for 45 minutes to an hour or until the internal temperature is 165 degrees Fahrenheit. Lightly sprinkle with paprika and serve. It’s a slightly sweet and oh-so-savory spin on the twice-baked potato that you are used to and your guests will be asking for this recipe over and over. When baking, it’s a good idea to place a cookie sheet under the potatoes just in case anything drips. They’re sort of like a mix between steamed carrots and those yummy sweet potatoes that you remember with a little extra something that will leave your guests wondering what your secret ingredient is. 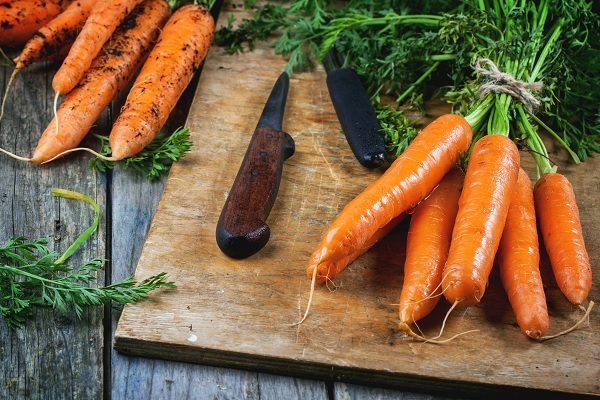 Using a medium sized saucepan, cover the carrots with water and add all ingredients. Bring to a boil and reduce heat to a strong simmer for about 30 minutes stirring occasionally. Lower the heat to simmer and stir often for about 10 minutes. Most of the liquid will have evaporated. Serve immediately or hold on a low simmer. These are amazing! It’s something about the combination of sweet spices and maple syrup. They are especially yummy if you simmer them stirring often until the liquid starts to turn to a light syrup. Creative side dishes are pretty easy to come up with. Think about some of these things when putting your recipes together. Think outside the box of normal. Mixing sweet and salty usually works. Some of the most popular recipes have either been created out of necessity or by mistake resulting in timeless favorites that have been enjoyed for many years. How Long Does Actually Almond Milk Last After it’s Opened?